Honda's hybrid-powered CR-Z coupe can be ordered from UK showrooms from this Friday (5 March) with prices starting at £16,999. Customers who order now will receive their CR-Zs in June when first deliveries arrive. They will get what Honda describes as the world's first sporty hybrid coupe that uses a petrol-electric hybrid system. The 1.5-litre petrol engine and electric motor are similar to the ones used in the Insight hatch but with 122bhp. It is also the first production hybrid to come with a six-speed manual gearbox, though Honda has yet to confirm performance figures. However, the Japanese firm has confirmed the CR-Z will deliver 56.4mpg combined economy and 117g/km carbon dioxide emissions. 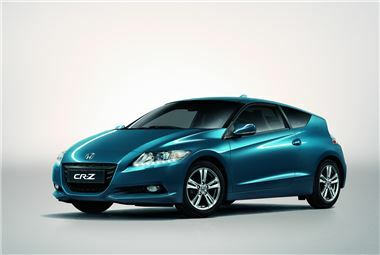 Only available as a 2+2 in the UK, the CR-Z will come in three trim levels: S, Sport and GT. All CR-Zs include climate control, CDF stereo, ESP, six airbags and active headrests, and the £16,999 S comes with electric windows, daytime running lights, and a Shift Indicator Light to tell the driver when is best to change gear for maximum economy. 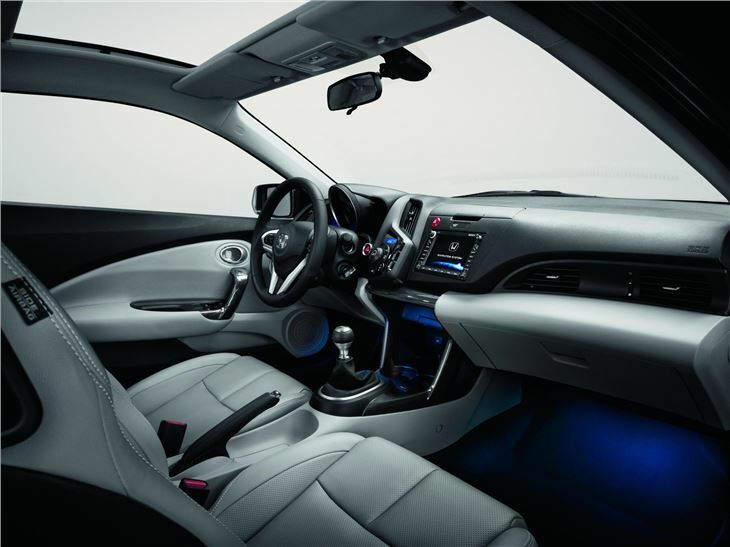 The Sport costs £17,999 and has ambient lighting, alloy foot pedals, parking sensors, cruise control, privacy glass and a USB port for MP3 players. At £19,999, the top spec GT has leather upholstery and heated front seats, Xenon headlights and a panoramic sunroof. Satellite navigation is also an option with the GT version. Whichever CR-Z model a customer prefers, the Honda coupe comes with a choice of three driving modes to tailor the car's driving manners. It allows the driver to choose between comfort, normal and sport settings that affect the throttle and steering, and it also influences how much assistance the electric motor gives for acceleration.